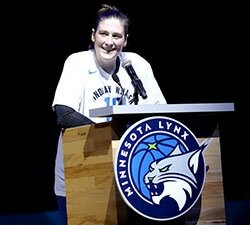 Las Vegas (April 15, 2019)— The Las Vegas Aces announced today that tickets for AT&T WNBA All-Star Game 2019, scheduled for Saturday, July 27 at Mandalay Bay Events Center, go on sale beginning Tuesday, April 16 at 1 pm ET/10 am PT. 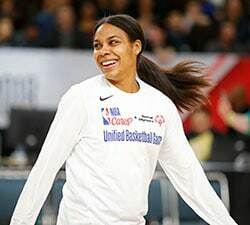 To purchase tickets, please visit LasVegasAces.com or call 702-692-2237. 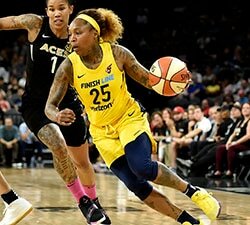 Las Vegas had two players named to the All-Star Team in its inaugural season—forward and reigning Rookie of the Year A’ja Wilson, and five-year guard Kayla McBride. 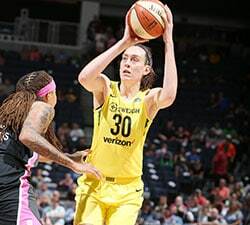 Wilson scored 18 points, and grabbed five rebounds in her All-Star debut, while McBride added 11 points and four boards in her second trip to the mid-summer classic.